Babies and toddlers need to be constantly stimulated to build their characters and acquire new skills. This is why it is highly important to offer them your constant love and support during the first years of life and stimulate their imagination and creativity with appropriate toys. If you want your toddler to develop harmoniously and gain new abilities each day, you’ll have to invest in some excellent kids toys that are both fun and educational. Here are our top selections. This fun toy truck is everything your child needs in the first few years of life. With a colorful design and plenty of buttons to push, the truck will help your child develop motor skills by loading and unloading rocks in the truck. The toy includes 3 colorful buttons that display 30 different songs and phrases and also teach your child colors and tools. The product comes with 2 AAA trial batteries but we suggest you replace them with quality ones if you plan on using the truck on a regular basis. Your kid may be too young for a real Harley motorcycle, but why not learn the basics from a toy copy? The product is perfect for young girls and boys who want to learn how to ride a motorcycle from the earliest stages of their lives. This cool toy bike is powered by some big foot pedals that are easy to reach by your kid. The pedals are perfect for developing motor skills and teaching your child how to keep his or her balance. The product also features rugged and durable tires, as well as easy-grip handlebars for a convenient, comfortable, and safe riding. If your toddler dreams of becoming a reputed musician, it is never too early to start playing music. This toy set of drums is equipped with everything necessary to teach your child the basics of music and sounds. The set consists of three drum pads and cymbals, each displaying a unique sound to help develop your child’s hearing. Kids can play with their drums following 9 different melodies and music styles, including rock, pop, and dance. This drum set is also suitable for learning letters and numbers. It includes two drumsticks and is powered by 2 AA included batteries. If you’re looking for educational gifts for 3-year-olds, this particular toy from VTech could prove a winning choice. It is a 2-in-1 sports center that will help develop your child’s motor skills while also teaching him or her numbers and popular phrases. This set allows you to play basketball or soccer with your toddler and learn over 50 songs, sounds, and common phrases. The colorful design will certainly draw your child’s attention with big buttons that were designed for educational purposes. The product operates with 3 regular AA batteries not included and is suitable for children up to three years old. All LEGO Duplo games are specifically designed for toddlers age 2-5 years in order to develop their imagination and building abilities. This particular set features a truck with a tipping function and an excavator with moving tracks. It also comes equipped with accessories such as extra bricks, two construction workers with safety helmets, a shovel and a road work sign. The LEGO Duplo toys are designed to stimulate your child’s building skills, encourage imagination, and promote roleplaying for a harmonious development. The LEGO pieces and accessories are perfect for your toddler’s little hands and won’t cause any choking hazard. If you’re looking for some awesome beach toys that can be successfully used while bathing your toddler, this Munchkin item is worthy of your attention. The set consists of one magnetic fishing rod and three underwater characters. It is the perfect tool to teach your child the basics of fishing while also stimulating his or her patience skills. The item is suitable for little boys and girls 2 years old and up. All characters included are air-tight in order to limit the appearance of mildew and mold. Thus, they are safe and won’t harm your child’s health. This one-piece design features attractive colors that will increase your toddler’s interest. All cars manufactured by Oball are very easy to grasp and roll for a frustration-free play time. Each of the wheels features rattle beads for making sounds and keeping your baby focused. In addition, the car is soft and flexible, and is recommended for babies 3 months and up. It can make a good teething toy too, thanks to the soft exterior. The item is BPA-free and safe to use to calm down toothaches and promote healthy chewing. This toy is perfect for children between 3 and 6 years old as it helps them build coordination skills, creative thinking, and motor skills. It is also great for building up imagination as children can use the pieces to recreate images or build new ones, according to their preferences. The set includes 120 chunky plastic bolts, a reversible power drill, 2 drill bits, a screwdriver, as well as 20 activity cards with easy-to-follow instructions. This educational toy is designed to support STEM learning and is suitable for children who love doing things on their own. This classic toy features a sturdy steel construction so you can rest assured it will last against wearing and tearing caused by your child. It comes with a movable steel bed for dumping so your kid can use the toy anywhere he or she wants, including at the beach. Children can use the truck to carry sand, water, balls, other toys, and many more. In addition, the toy comes with a colorful and appealing design which will certainly draw the attention of your kid. This classic yellow and black truck can be used by children aged 2 years and above. This motorbike is suitable for toddlers and small children alike. It can be easily transformed into a tricycle for unexperienced toddlers or a full two-wheel ride for children with more balance. The interactive activity panel comes with plenty of gears, rollers, lights, and buttons to stimulate your child’s intuition, creativity, and imagination. The toy features a motion sensor that will encourage riders to keep on driving in order to listen to music and other specific motorbike sounds. The item can be used in two different modes, depending on the age of the rider. The tricycle mode for toddlers comes with over 70 songs, phrases, and sounds, while the bicycle mode can be used for singing and learning. Toys are an important part of childhood and any parent, regardless of means, tries to provide his offspring with special items to play around with. If archaeologists are to be believed, it seems that this always has been so, since small wheeled statuettes of animals or chariots had been uncovered from sites dating as far back as the bronze age. With the wide variety of toys available today, it could prove daunting to pick the right thing for our kids, something they will find engaging but will also add a little to their developing personalities and skill sets. Modern toys must be safe, resistant enough to handle the gauntlet children will put them through and also fun to play with. In the following guide, we’ll be narrowing our scope to advice on choosing gadgets and toys for boys, but most of it can also apply to girls, if we adjust it a little to fit the different innate interests of the fairer gender. A distinction criterion that’s somewhat harder to adjust for is age, since children develop quickly and their attitudes tend to change significantly as they grow older. All the best boys’ toys reviews seem to emphasize the same things for the 1 to 3 age group, namely physical play. The items to go for are the already familiar large building blocks, simple puzzles and resilient plastic trucks. 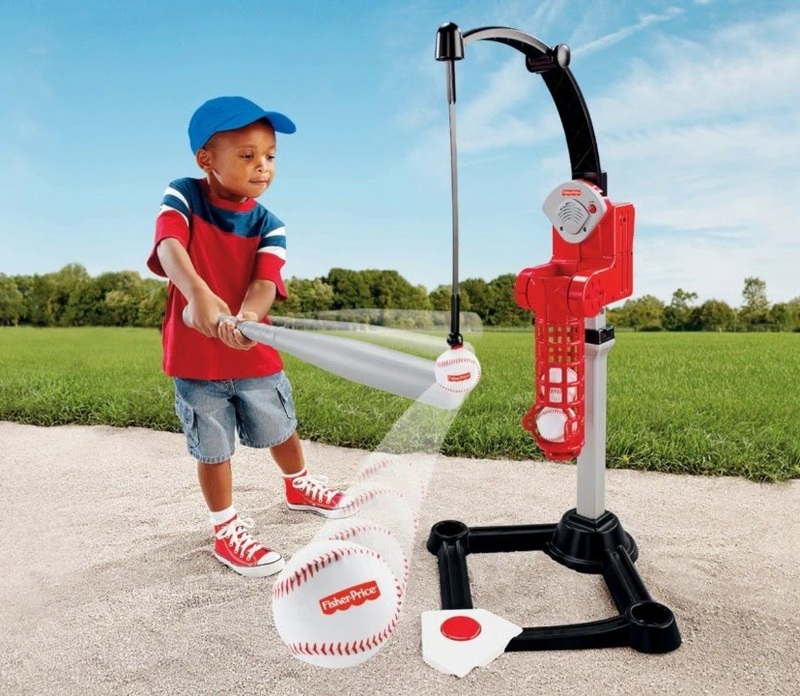 These will help the child develop better muscle control and hand-eye coordination. Electric toys are neither recommended or required at this stage since the toddler will get great enjoyment from moving an item around on his own. These might also not prove tough enough to handle the treatment they’ll be put through. Ride-on toys such as pedal cars will make great toys and gifts for 3-year old boys since they’ll allow him to imitate daddy as he drives to and from work. 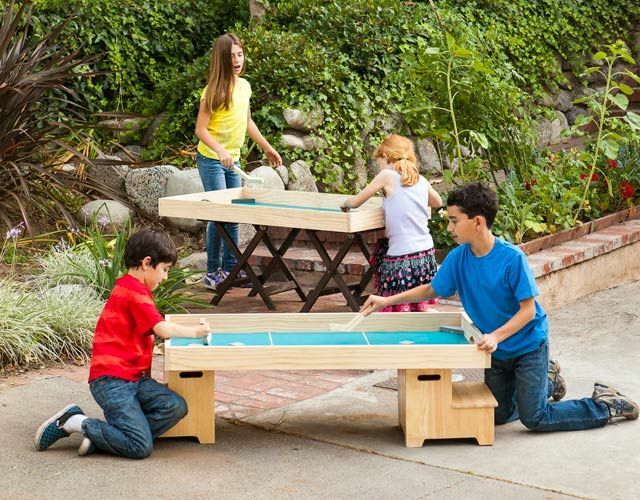 Other good outdoor toys include any type of inflatable ball, sand construction sets, and sports sets. Safety is particularly important when this age group is concerned. Only try to buy toys whose parts measure more than 3 inches by 3 inches to prevent choking hazards. Also, it’s always a good idea to verify that they don’t flake or contain any dangerous chemicals since toddlers tend to chew on their toys. Children are beginning to get the hang of how simple mechanical objects work at this stage. Feel free to go for simple construction sets such as age-appropriate LEGO or Mechano that also feature movable parts. This will also encourage the child’s budding creativity, which can be further honed by buying items like crayons, markers, modeling clay and coloring books. Rule-based playing is best introduced around the age of two, but mostly older children, around 3 to 5, will get to really appreciate something with rules as clearly defined as a board game. The simple games we used to play as children are still being produced and the current generation can get equal enjoyment out of them. Basic pretend play starts being important at around 4 or 5 years of age. It’s not yet as important as it will be later on and it mostly consists in mimicking basic acts, such as answering the telephone or performing household repairs. Toy-tools are something to consider around this time if the boy shows interest in the technical aspect of things. Also at around 4 or 5, children will start recognizing cartoon and movie characters, which will give them a real appreciation for licensed toys. The child is prone to model his own behavior on the character’s personality, so it is recommended to be mindful of the type of heroes he chooses to play with. In the 80s, for example, both the Alien and Predator franchises had action figures featuring the titular characters. Make sure that the universe the character originates from conforms to your own values or isn’t prone to give your child nightmares. Pretend play involving other children and team play start becoming more important at this stage, as the child gets more accustomed to complex social rules and interactions. Consider buying him toys he can share with his group of friends. Most boys of 5 to 9 begin developing specific interests for certain themes, they start becoming more engaged in playing with swords castles and spears than in playing train conductor, for example. It is important to take this into account to ensure that the child gets as much enjoyment from the toy as possible. Mechanisms and more complex electronic toys will really come into their own towards the end of this stage. The child won’t be interested just in building a back story around the toy, but also in the complexity of the item itself and the possibilities it offers for interaction. Remote controlled model aircraft, cars, and boats will be the coolest things to have for boys this age. Make sure to choose a build-your-own kit for any of the above if the child shows any technical inclination. Even if the boy is not particularly technically skilled, building his own electrical toy will teach him both self-sufficiency and raise his self-esteem after completing the challenge. It’s important to keep in mind not to provide any help unless specifically asked for. Their interest in more complex (and expensive) big kids toys will only increase around this age, while simpler items will only provide engagement as a result of external factors. A miniature car, for example, will only prove exciting if an appropriate track is built for it, or if it falls victim to a firecracker explosion that breaks it into pieces. Twelve years is often old enough to play regular board games, like Monopoly, without ending up as easy prey for other players or falling to a temper tantrum. These types of interactions are especially important around this age since the child will develop a preoccupation with being accepted by peers, for which social skills is a necessary factor.